TGIF and welcome to another edition of Friday Favorites! Today I’ve got my favorite Urban Decay Eyeshadows. Well actually these are my favorite eyeshadows from them that are/were sold as singles. I have many other ones I love in their palettes as well! Why do I love their eyeshadows so much? Well they are super saturated and have amazing payoff. I am very rarely let down by an Urban Decay Eyeshadow, unlike some brands which seem to have as many misses as hits. I love the color range, the various finishes and the packaging is great also. I am noticing a theme with the colors I chose. Most of these are either purple or warm-toned metallics. They do golds, bronzes and coppers so damn well don’t they? I think the first shades I ever bought from the brand were purples and golds, so I guess it makes sense that I am still drawn to them. 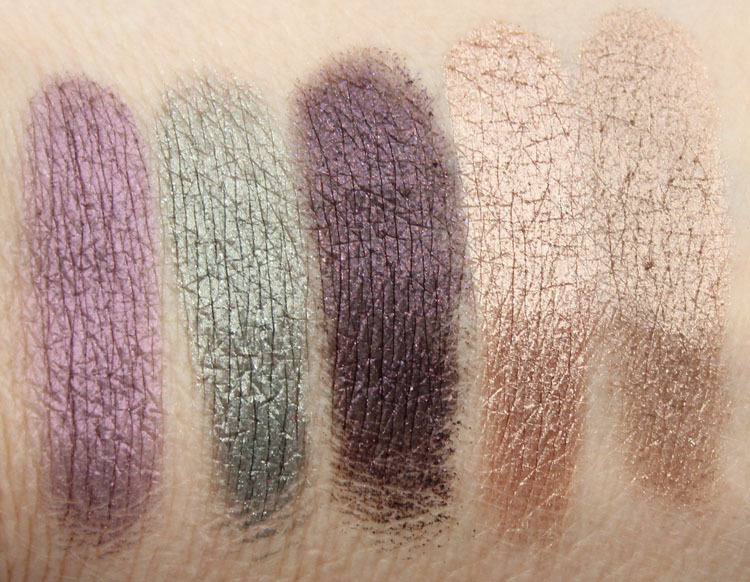 I could stare at these swatches all day, sigh. You can find Urban Decay Eyeshadow at Sephora, Nordstrom, Beauty.com, and Urban Decay. 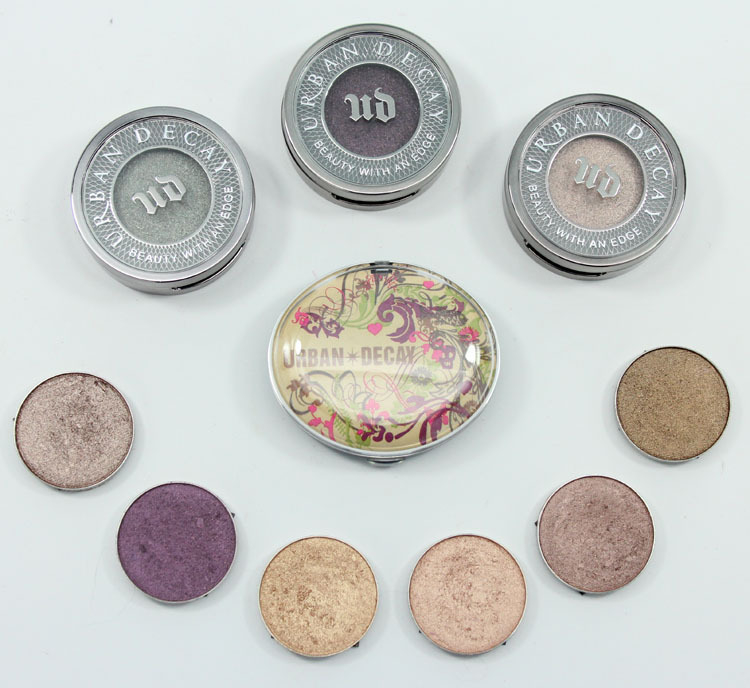 What are your favorite Urban Decay Eyeshadows? Love UD eyeshadows! Most of my favourites are from the palettes. Buck is probably my most used shade. But I love the gold/bonzey ones you’ve mentioned as well. I agree – their colors are gorgeous and wear beautifully! 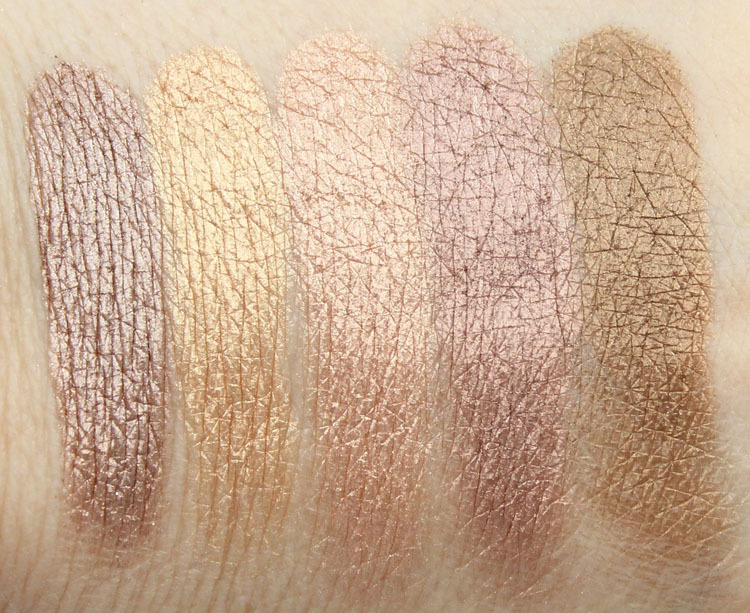 I love the Naked3 palette, although for a long time, Toasted was my favorite. Currently, Trick (from Naked3) is my favorite, but it’s not available as a single, which makes me very sad, because I have hit pan and really don’t want to buy the whole palette again! 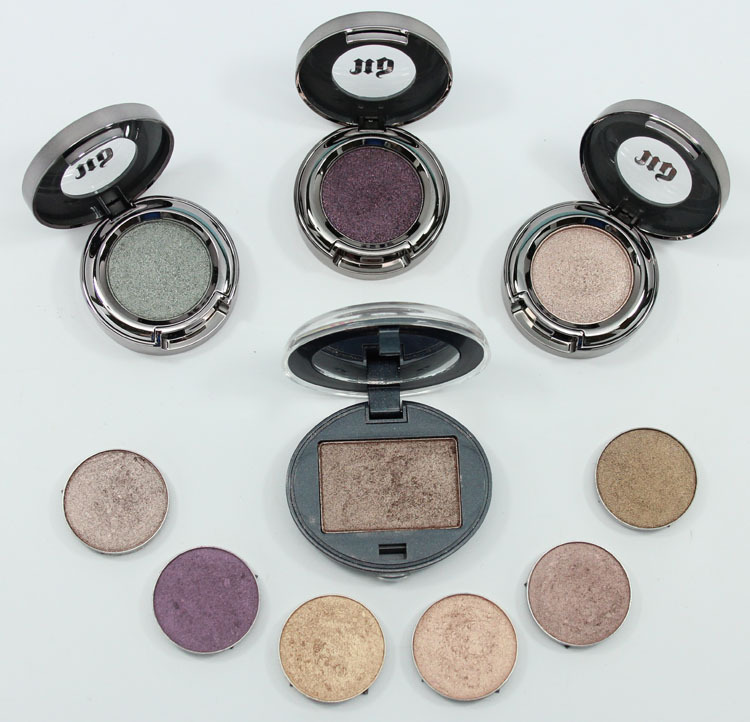 I love Urban Decay shadows, they are my favourite… I lean towards there browns/taupe colors, they work so with my skin tone. These colors you got are so pretty ! UD eyeshadows are my favorite as well! With Half Baked being my favorite. I also love the shades from the Glinda palette. I agree, their metallic bronze and brown shades are top notch! I think your labeling for the first swatch picture is out of order. Whoops I don’t know what happened there but it’s fixed now. Thanks! You’re welcome! Your swatches are always gorgeous! I’ve been eyeing AC/DC, the Naked 3, and Toasted. I think I was also interested in Roach, Rockstar, and Empire. I don’t have any UD singles but I love every palette I have of theirs! Toasted looks amazing, though. I think you have Uncut and Purple Haze labeled incorrectly on your first picture. Purple Haze, Snare, and then Uncut should be the order. I own all the same shadows you have above with the exception of Snare. Great swatches as always. Love UD shadows and am totally envious of the middle one in your pic in the vintage tin! These are nice metallic eyeshadows! Wow, the colours look amazing! I actually don’t own any Urban Decay mono’s because it’s quite difficult to get your hands on them in Belgium. I do however own the Naked 2 pallete, but I don’t use is that often. Lisa´s last post…Let me introduce you to… our 6 CATS! I’ve always been wanting to try UD’s eyeshadows, one day when I’m not on a student budget I’m definitely getting a Naked Palette! Kelly B.´s last post…How to Save and Plan for Spring Break with Walmart Best Plans! YDK is my ALL TIME fave color!!! Above all other brands and everything. I can take just that color on vacation. It is my HG e/s. Love to know someone else also appreciates its beauty! It’s unlike any other taupe bronze shadow, and wet it is even more breathtaking.